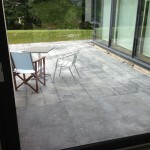 The weather is clearing up and the patio layout got underway. 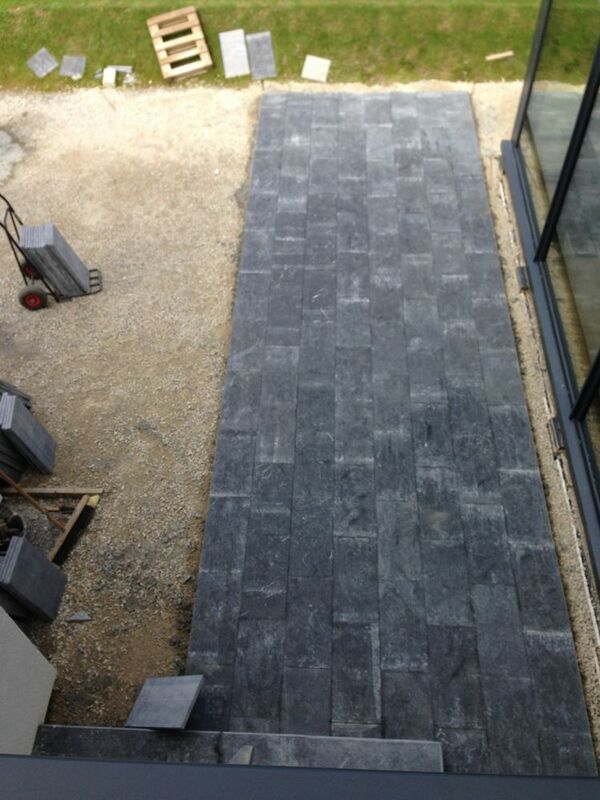 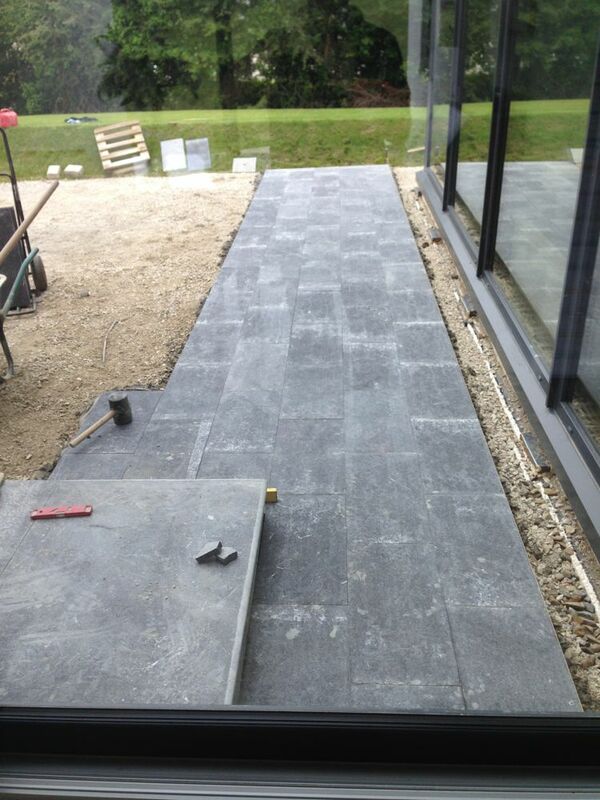 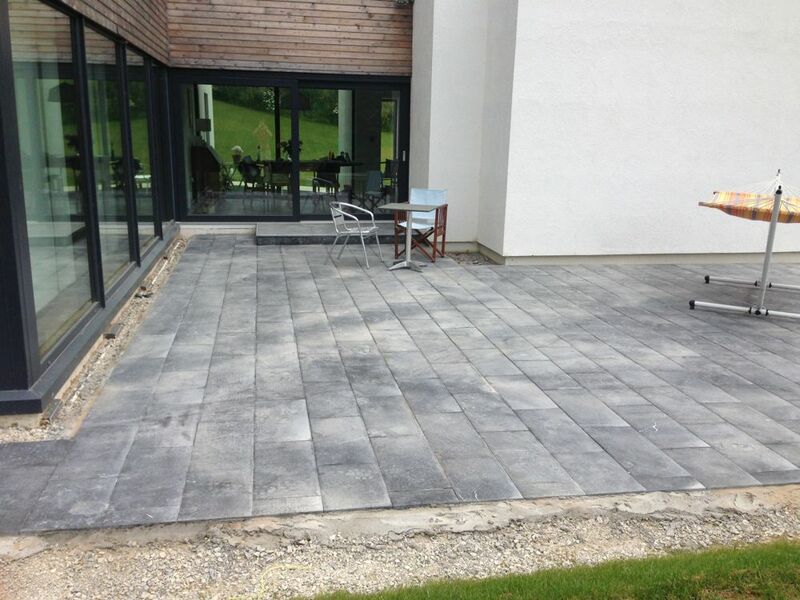 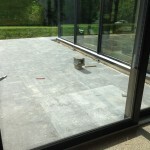 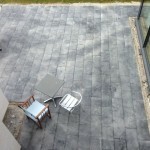 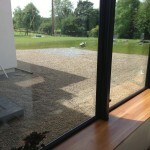 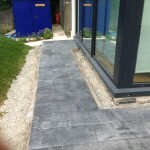 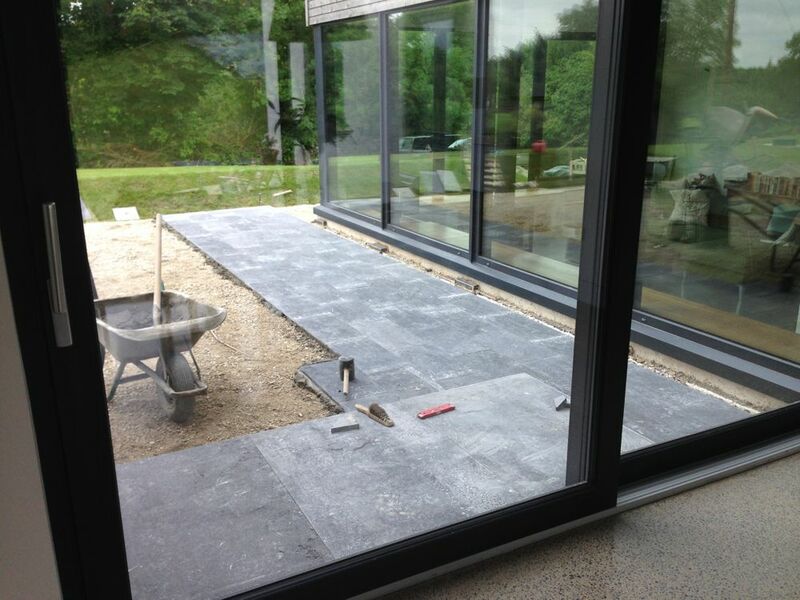 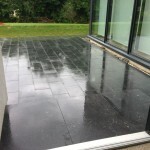 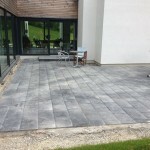 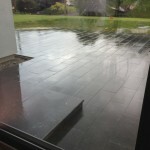 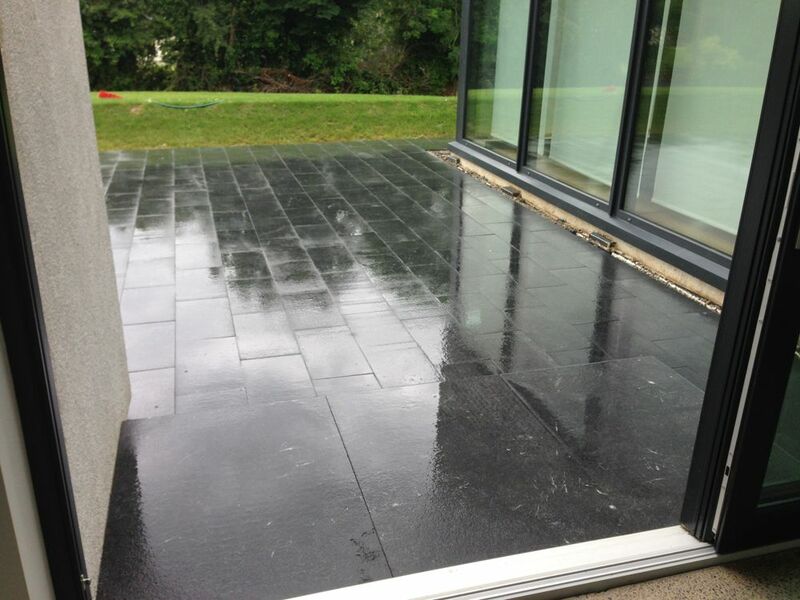 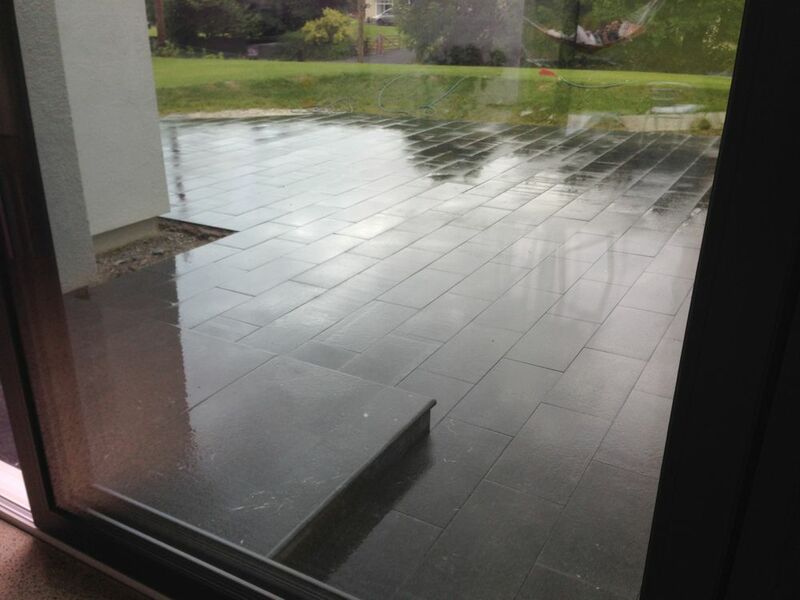 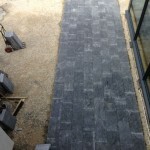 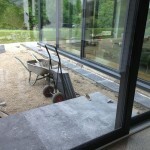 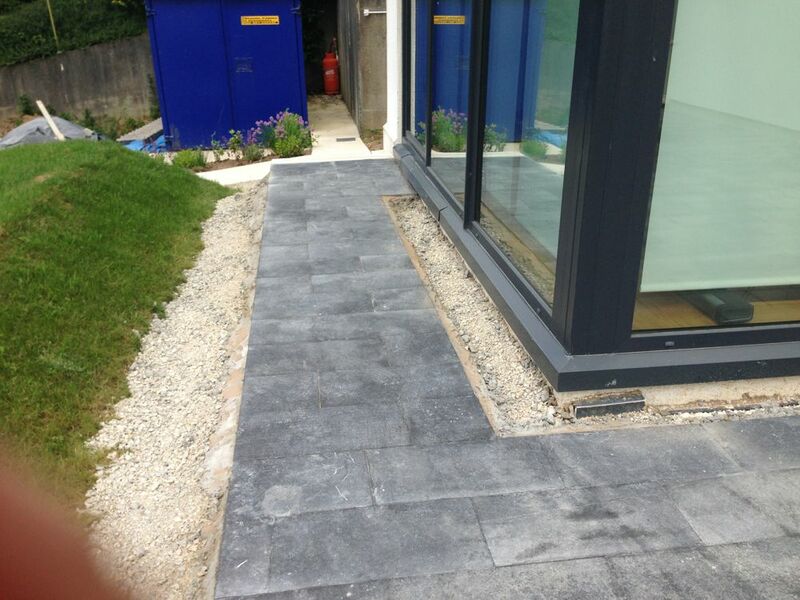 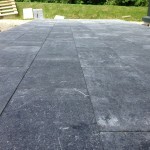 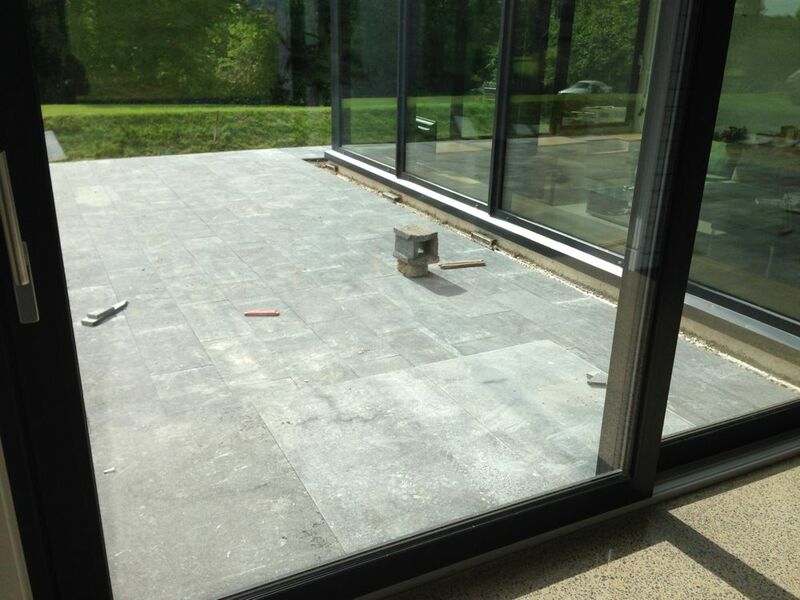 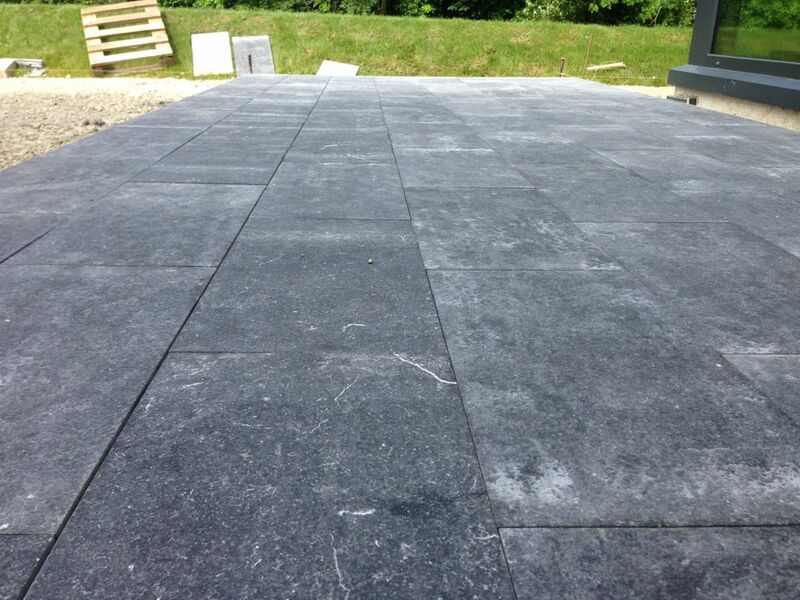 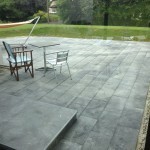 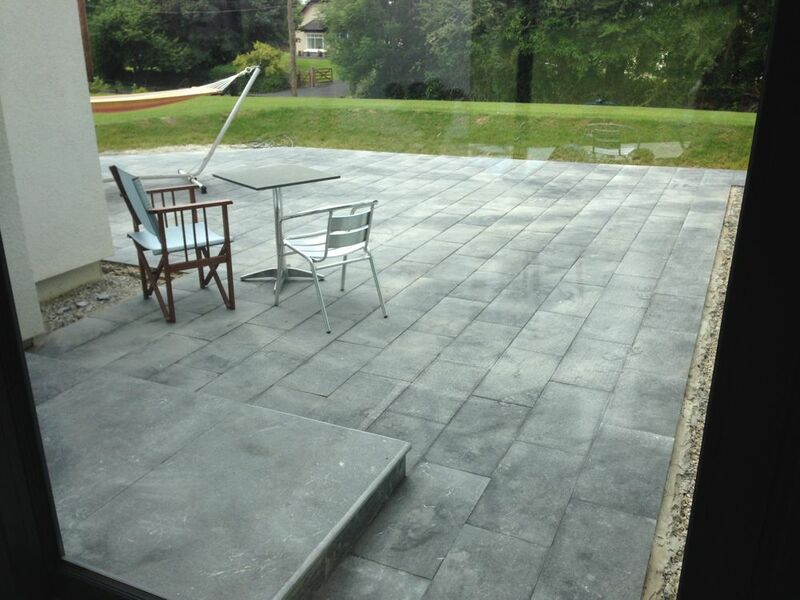 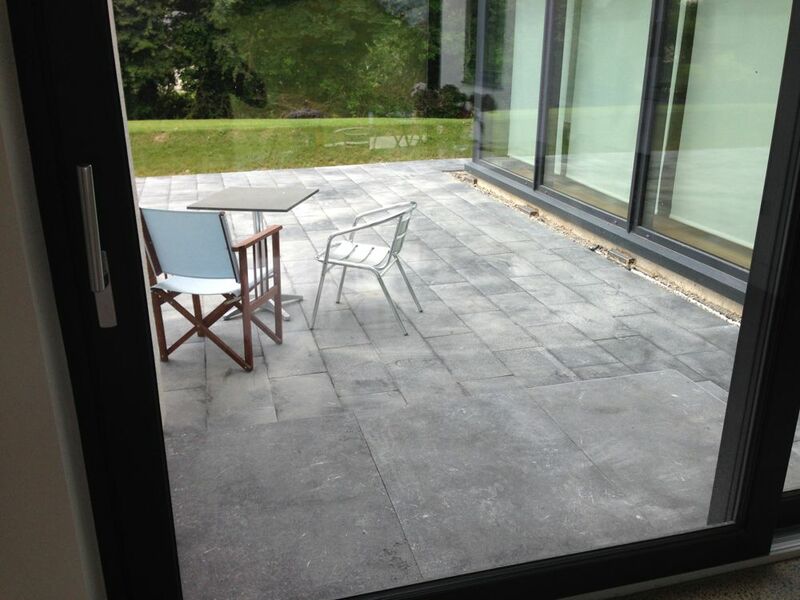 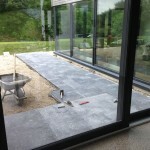 We have opted for a blue limestone from an irish quarry with a flamed surface finish which makes is safer to walk on when wet. 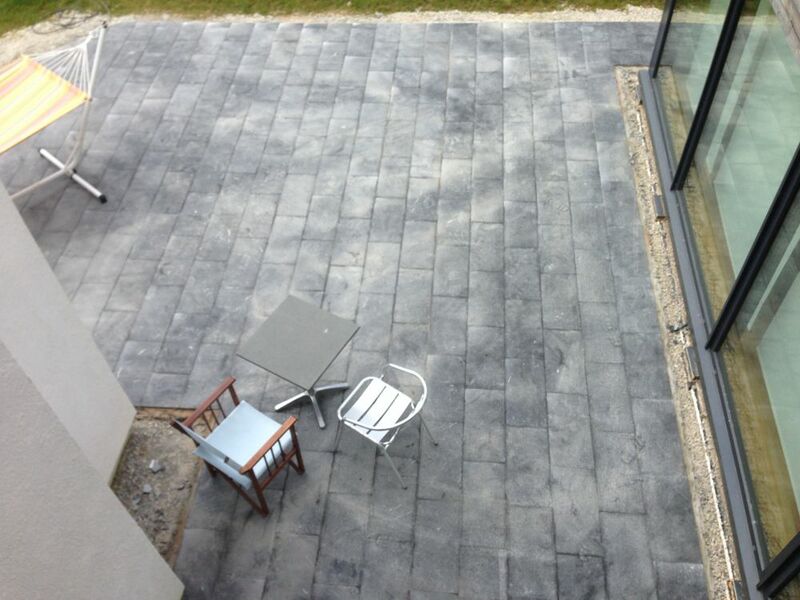 The stone features a wide range of natural shell, coral and other fossil inclusions which adds lots of interest. 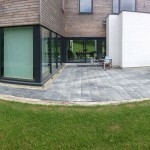 Looking forward to our first meal outside this weekend. 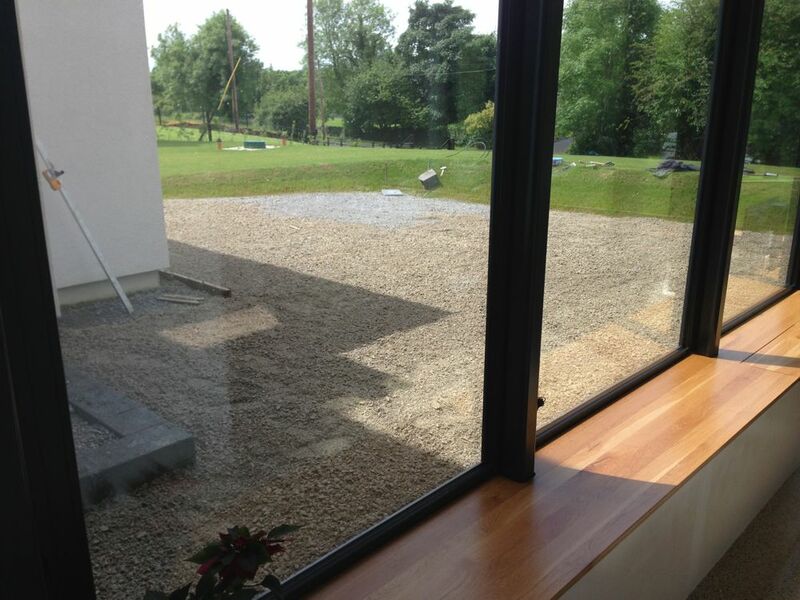 Summer dining in the sunshine here we come. 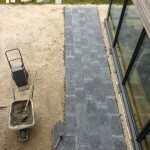 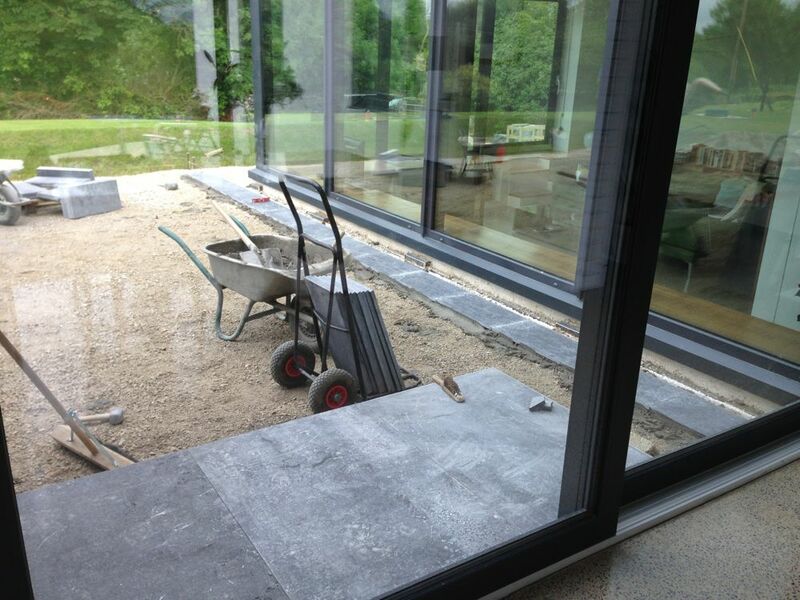 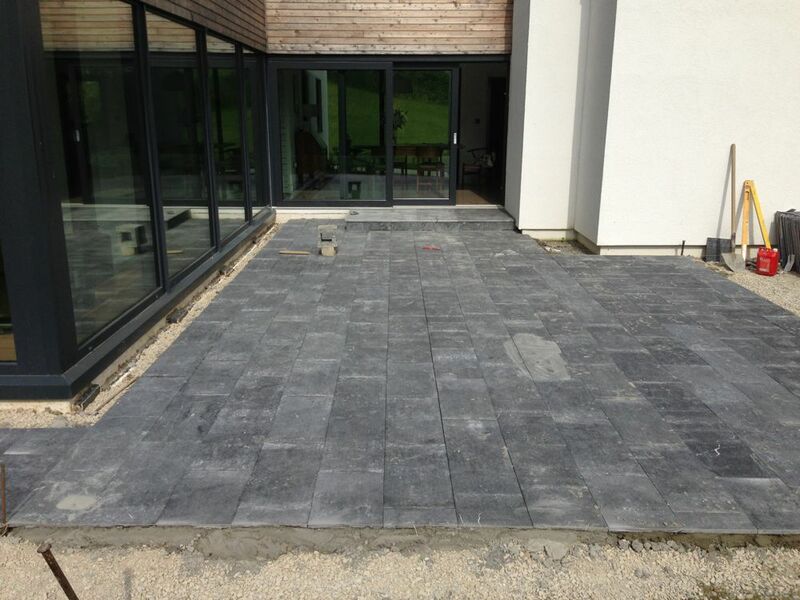 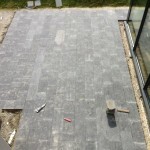 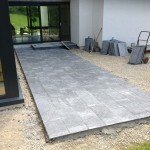 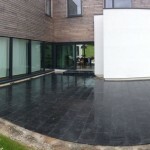 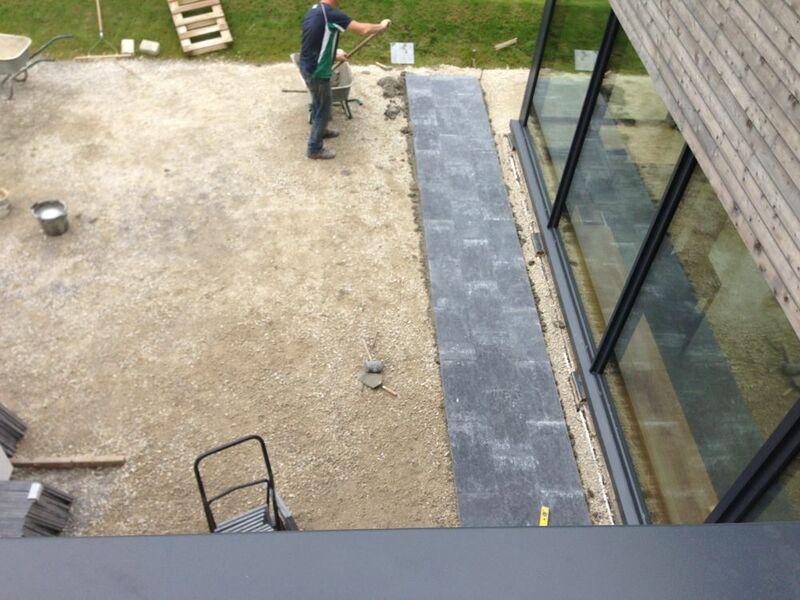 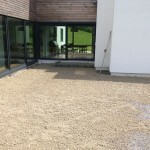 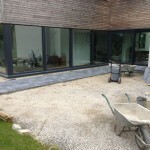 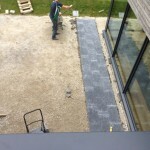 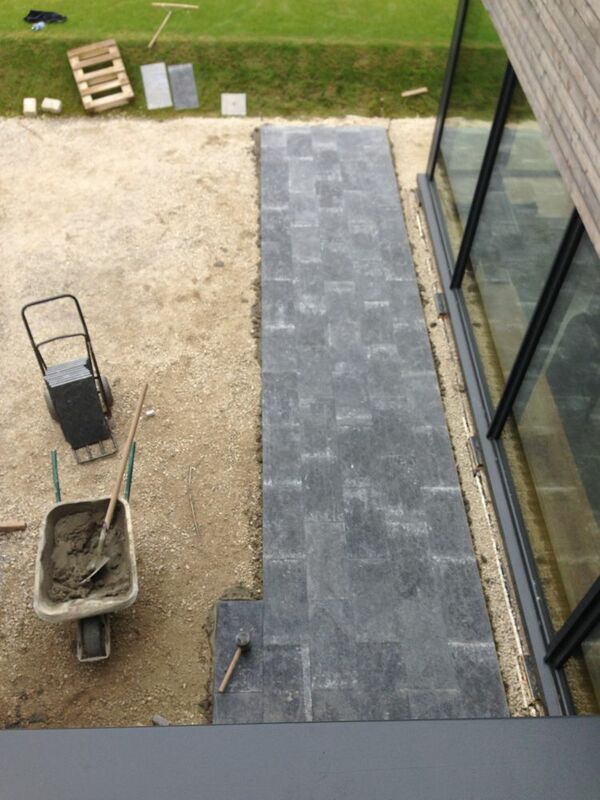 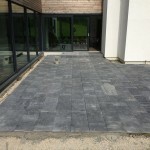 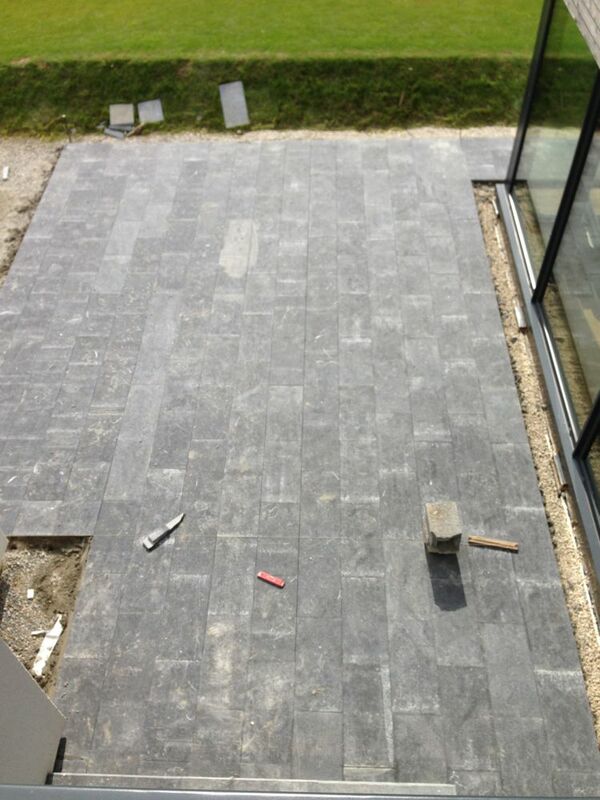 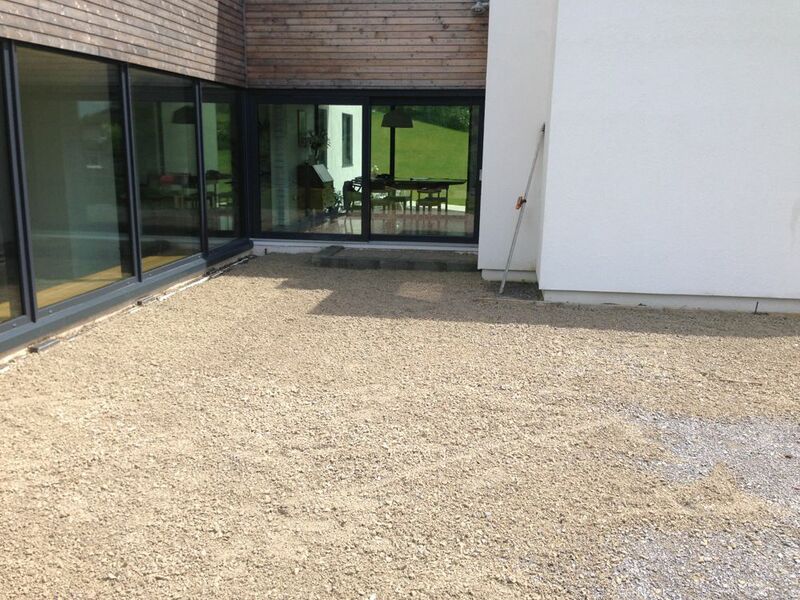 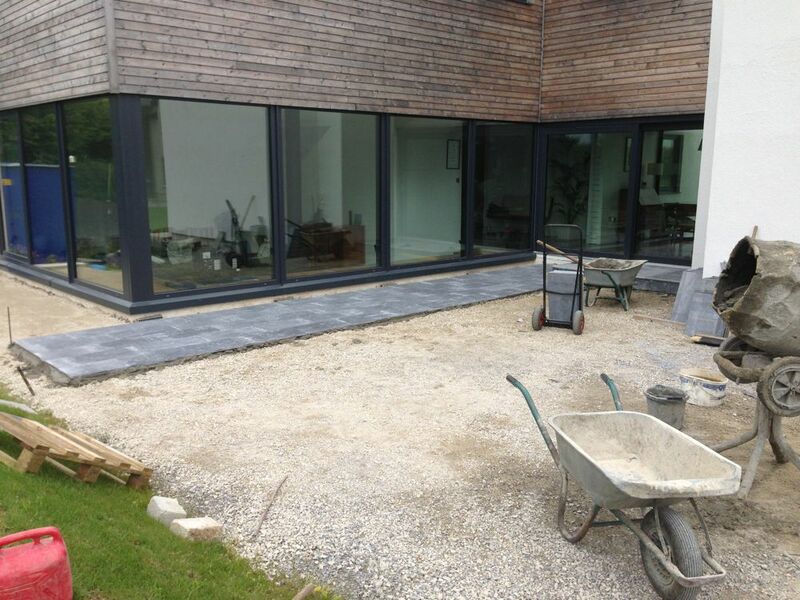 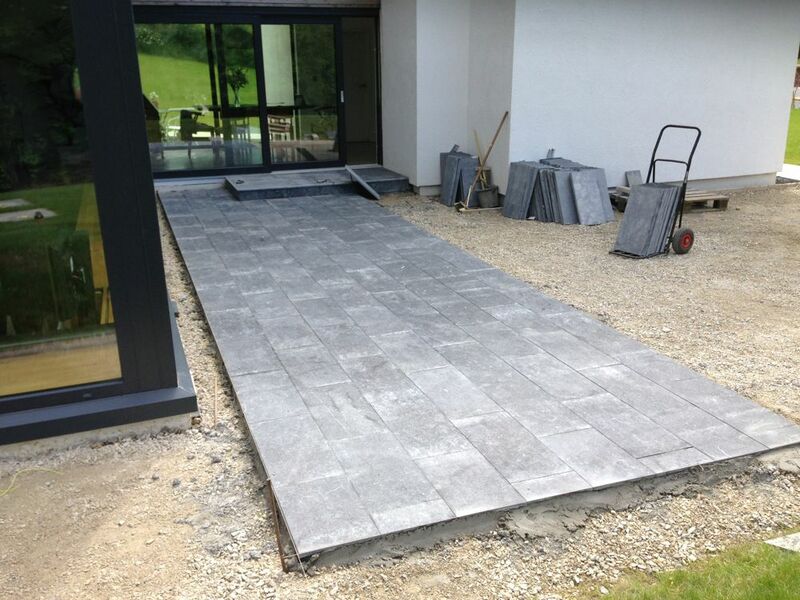 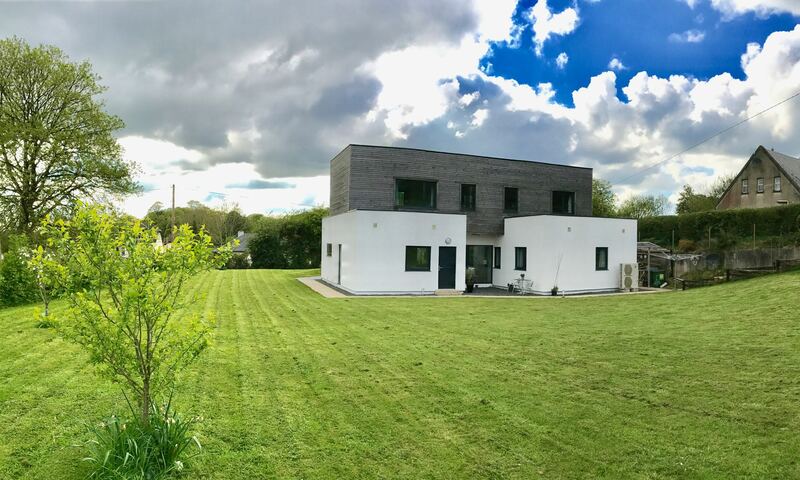 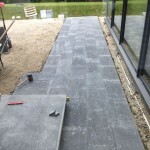 It took about 4 days and a bit to complete, and although the edges need to be filled with gravel and grass around the outer edges which will be planted in the autumn, the patio is ready to use.